Lieutenant James Cook, RN, named the Solitary Islands in 1770 when he passed by in his famous vessel HM Bark Endeavour. The southern most of these islands are located just off the northern end of Coffs Harbour on the Far North Coast of New South Wales. 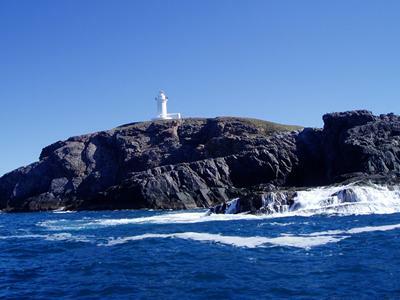 The largest of the southern islands is South Solitary Island. This has a historic lighthouse on it and there are the remains of the lighthouse keepers' houses which appear to have been somewhat restored in July 2005. As there is no landing point on the island, a gantry was used to lift goods and people onto and off the island. The remains of the gantry are located on the western side of the island. This makes the island a bit different to the other islands which have never had any human life present for more than a few days at a time. From Coffs Harbour it is a 15 to 20 minute trip out to the island. On the northern side of the island there are a number of dive sites. These are called (from the eastern end) Cleaner Station, Shark Gutters and The Boulders. In reality, these are all accessible on the one dive, but a good dive is to do the first two on the one dive. It does not really matter where you moor (there are moorings all around the island except the rarely dived south-eastern corner and southern end). If you are moored at either the first or second mooring, you are close to the first two gutters. Once on the bottom (about 12 metres), head out to the north to first explore the deeper sections of the dive site/s. You will get to 23 metres and a small wall. Explore this area. 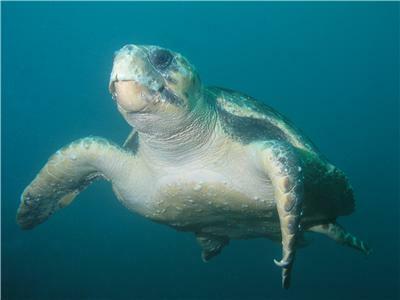 Keep an eye out for grey nurse sharks and Bernie the green turtle. Turn left and head west for a short distance (say five minutes) before turning left again. This will have you heading roughly south towards the island. The depth will lessen and you will end up in water about 10 metres deep. Turn left again and shortly you will see the main shark gutter. This runs right up into the island. Follow it and you will see the water breaking above your head on the shore of the island. The gutter narrows and then there is a large rock blocking the gutter. You can swim under this into a small dead end gully. If the sea is absolutely millpond, you can ascend and swim further into the island but this would not be possible more than a few days a year. Turn around and head back under the rock and then out of the gutter. 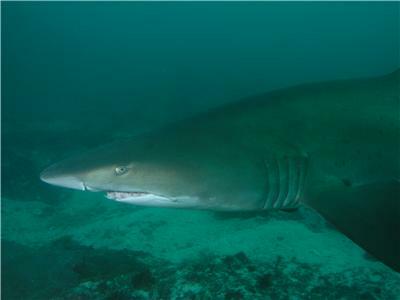 Keep an eye open for grey nurse sharks in and near the gutter. When back in the wider section of the gutter, have a look for firefish, large trevally, surgeonfish and other species. Once out of the gutter, turn right and go over the sloping rock. There are some corals here that are home to blue tangs. These beautiful but hard to photograph fish pop in and out of the coral as you get close and move away. Soon you will see another gutter. This is smaller than the one you have already entered. Examine it for a while. Then go east again and you will see the last of the gutters. This one has a cave at the end. This is reasonably sized and you can go right into it. Come back out of the cave and gutter and head west at a depth of about 12 metres. There are some very large boulders here. These can have huge schools of fish in the spaces under and between them. These fish include bream, yellowtail, ladder-finned pomfrets and southern fusiliers. This should be near the eastern-most mooring which is the Cleaner Station mooring. Near the mooring there is a large cleaner station. This is a location where fish (normally large fish) come to have themselves cleaned by cleanerfish. If you see large fish hovering in one location and little skinny blue fish swimming around them, this is probably the cleaner station. Watch carefully and you will notice that the cleanerfish swimming into the mouths and gills of the fish. They are actually cleaning the larger fish of bits of left over food and dead skin/scales. Fascinating! 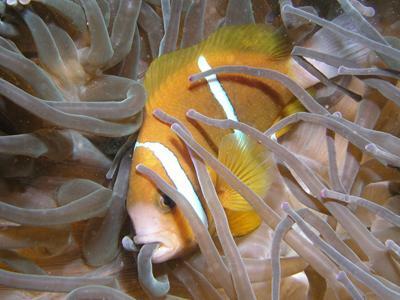 Other things to look for on this dive include anemones and clownfish which are particularly plentiful on the western end of the site. I have also seen clown triggerfish in this area. An excellent dive site! I dived with Jetty Dive and can really recommend their services. Contact Mike on 02 6651 1611. For more information about Coffs Harbour, see my Coffs article.